WhatsApp may not be well known to U.S. users, but make no mistake: Facebook’s $19 billion acquisition of the messaging app is a huge deal. WhatsApp is largely popular internationally, and as Mark Zuckerberg said in a conference call Wednesday afternoon, has the chance to grow past 1 billion users. WhatsApp has more than 450 million monthly active users — 70 percent of whom are active on a given day. WhatsApp users, some of whom pay a nominal fee to use the app on a subscription model, are growing by 1 million users per day. They send more than 19 billion messages per day and receive more than 34 billion per day. 600 million photos, 200 million voice messages and 100 million video messages are sent through WhatsApp every day. But AppData’s revenue estimates show just why Facebook acquired WhatsApp. According to AppData’s revenue estimates for the Android app, just 8.2 percent of WhatsApp’s global revenue so far this year has come from the U.S., compared to 73.3 percent in Germany and 18.5 percent in the U.K. When Zuckerberg discussed WhatsApp in Wednesday’s conference call, he said that the company fits perfectly with Facebook’s overarching goal of connecting the world. Combined with Internet.org, Zuckerberg says that he sees WhatsApp as a way for Facebook to tap into growing international markets. While Zuckerberg and WhatsApp CEO Jan Koum declined to break down country stats in the conference call, it’s evident that WhatsApp is growingly used as an SMS substitute in areas Facebook would love to grow. While both Zuckerberg and Koum stressed in the conference call that they are not focused on monetizing WhatsApp immediately (focusing on growing the app first, similar to Instagram), the acquisition is important for marketers to keep track of. They agreed that advertising isn’t the best fit for WhatsApp, but there would come a point, likely after the magical 1 billion-user mark, that Facebook would start to explore monetization techniques. Facebook’s acquisition of WhatsApp sends a clear message of where Mark Zuckerberg views the company’s path to sustained success: mobile, mobile and mobile. The fact that WhatsApp is a mobile-only service, and that 70% of its users are active on the service daily, aligns well with Facebook’s mobile push, which requires a highly engaged, active user base accessing the social network across multiple devices all day long. From that perspective paying $16 billion for a single app makes sense given that WhatsApp has an incredibly engaged user base that is growing rapidly at more than a million new users per day. Facebook needs that type of engaged user in order to sustain its own growth and to keep new social networks and apps, like WhatsApp, from eroding the time users spend on Facebook each day. 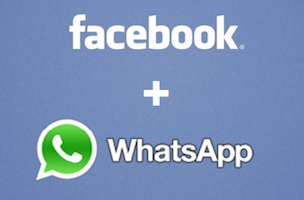 For advertisers and marketers, the WhatsApp acquisition makes a lot of sense. Facebook has been steadily introducing innovative ad-targeting solutions that have turned the social network into a hybrid engagement plus direct-response ad platform. With its acquisition of WhatsApp, Facebook should be able to provide advertisers with even more targeted and real-time mobile-only ad solutions. As countries in developing markets start to connect online through their mobile feature phones, they’ll prefer a lightweight app such as WhatsApp instead of a more data-hungry platform such as Facebook. WhatsApp will still operate as its own app, similar to how Instagram operates with Facebook. The two companies will share technology, data and employees to benefit each other. Readers: Do you think this was a good purchase for Facebook? Image courtesy of Jan Persiel on Flickr.